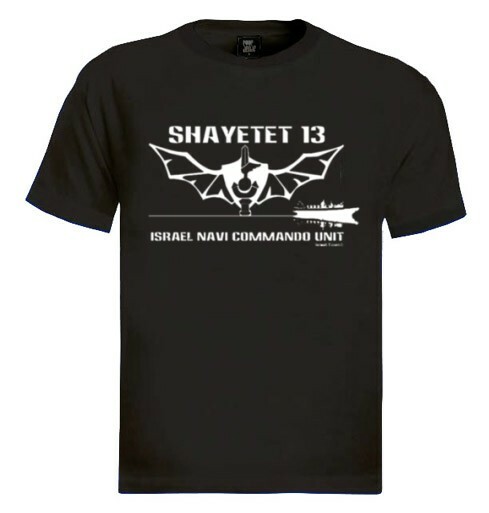 Shayetet 13 is the Israeli naval commando elite special forces (SF) unit. The S-13 (shorthand for "Shayetet 13") is considered one of the top-three SF units in Israel (along with Sayeret Matkal). Our t-shirts are made of 100% cotton and are long lasting with bright colors. Our products are all designed and printed in Israel.